There is no other coffee as revered as African coffee. The unique combination of climate, altitude and soil make Africa the ideal place to grow the world’s best beans. Hand-picking, washing, and then drying coffee beans on raised beds allows more time for the floral, sweet and fruity notes unique to African coffee to take hold. We source premium single origin coffee from farms in all parts of Africa that pay well above market prices for the beans, helping to ensure ethically sustainable farming practices and the highest quality coffee year after year. We specialize in finding you Africa’s best coffee in limited-time, small lots by following the ideal growing seasons in each region. Women business owners are the fastest growing segment of new farm owners. Most of our farmers are also supporting their families including tuition and school fees for their children. 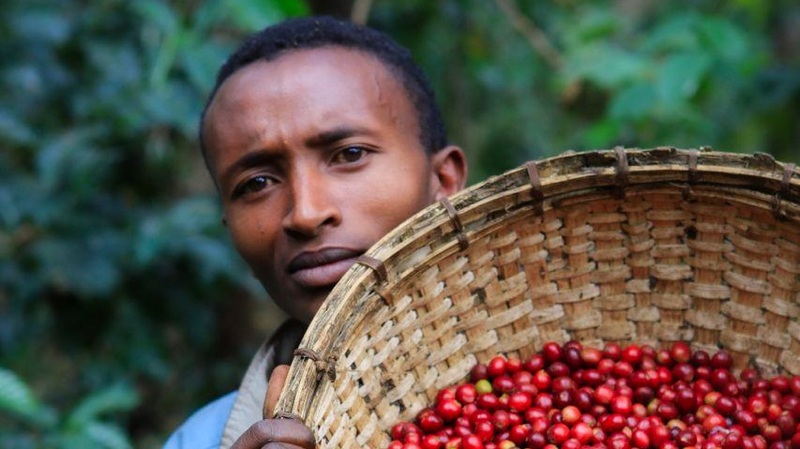 A coffee of the month club that curates amazing micro-lot coffees from all parts of Africa. Tanzania, Kenya, Ethiopia & beyond. Each month features 12 oz of freshly-roasted coffee, a bracelet, a postcard, and brewing tips. Africa’s finest coffee delivered fresh to your door. Coffee of the month club where we deliver the finest coffee from different parts of Africa each month. Browse our collection of micro-lot, limited-release African coffee beans by the bag.